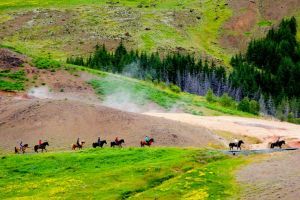 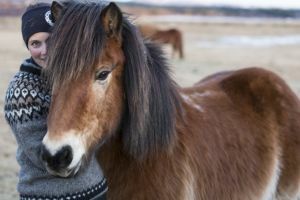 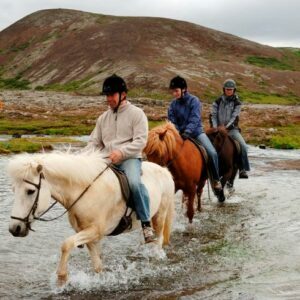 Whether you are a beginner or expert, old or young, these friendly horses, with their alert and willing nature are indeed a pleasure to ride in their natural surroundings. 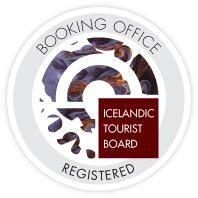 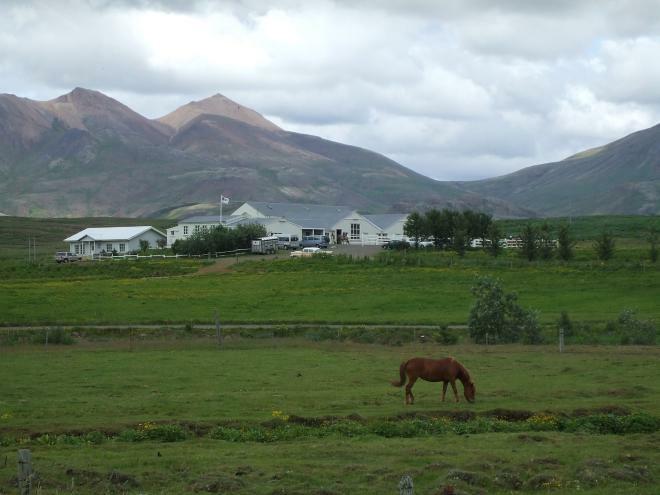 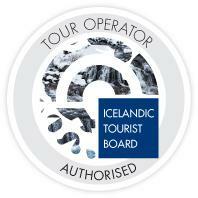 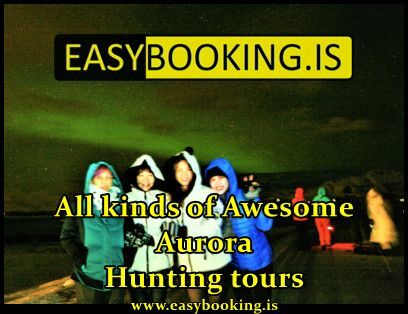 We pick you up at your hotel or guesthouse in Reykjavik and drive to the farm located only 15 minutes from Reykjavik. 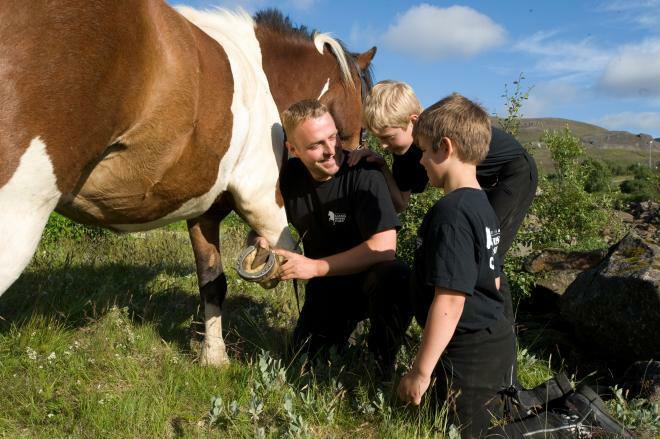 At the farm you will get all basic gear, such as helmets, boots and rain clothes (snowsuits in wintertime). 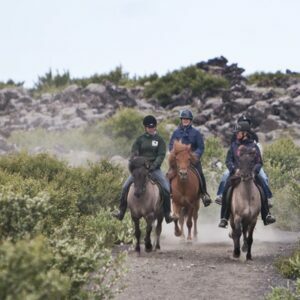 We gather information about how much you have been riding and choose the proper horse to match your experience. 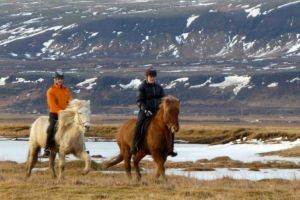 After the ride we will take you back to your hotel or guesthouse.